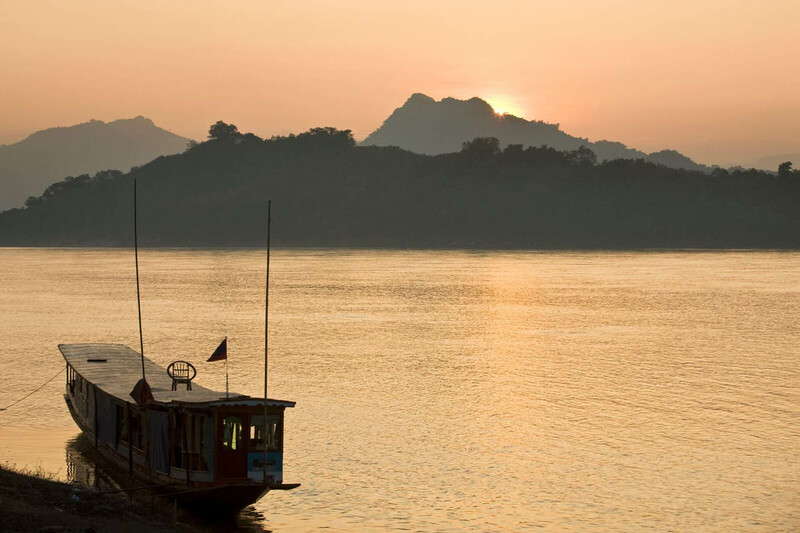 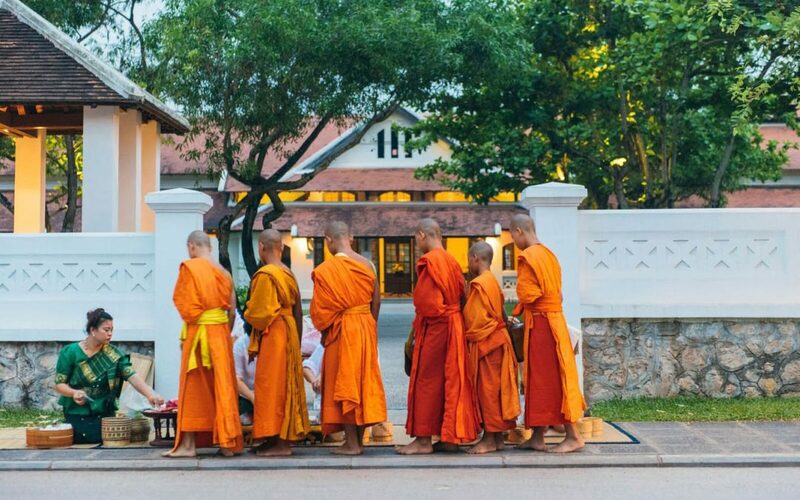 Through the incredible kindness and gentleness of the local people, Laos offers an experience of calm and authenticity within the Indochinese Peninsula. 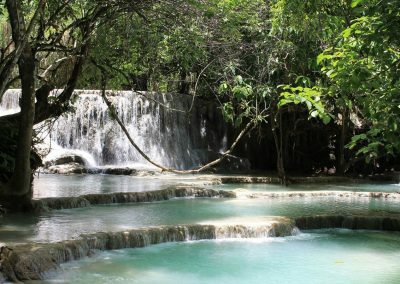 Far from the agitation and growing globalisation of its neighbours, Laos has managed to maintain a peaceful lifestyle and a certain form of mystery owing to its eventful past. 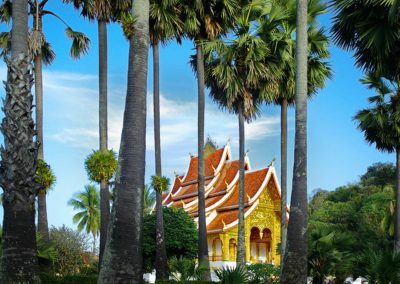 Only recently open to tourism, it is a country that is welcoming and bursting with cultural fortune, unspoiled and fertile landscapes and beauty at every corner. 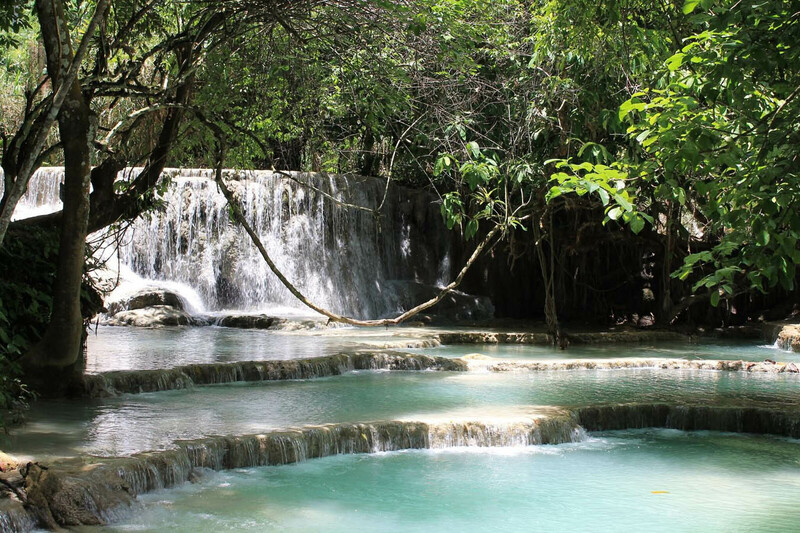 Discover the gently cascading Kuang Si Waterfalls with its iconic turquoise blue pools, a true paradise with supernatural beauty, where you can plunge without hesitation into the invigorating waters. 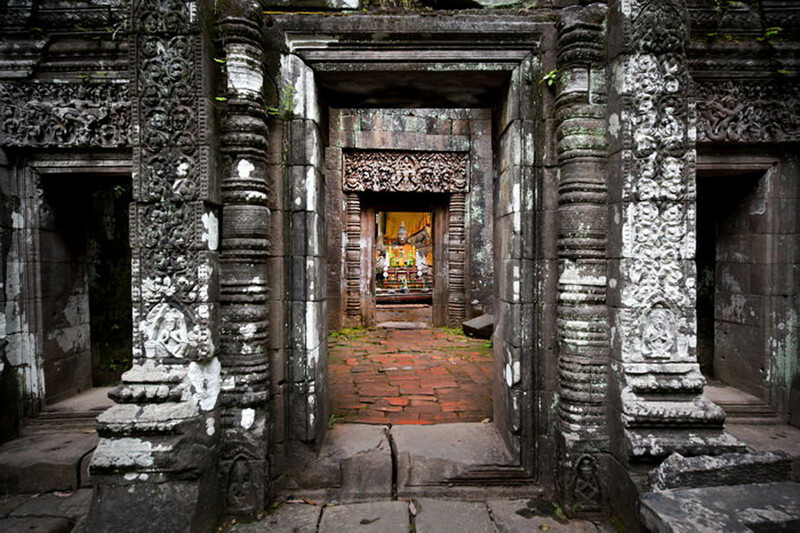 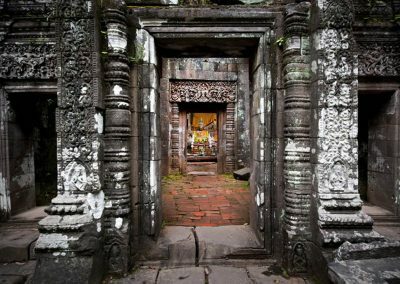 Climb Mount Phousi where you can admire and then succumb to the beauty of the Mekong, the backbone of the country and symbol of absolute harmony, exchange and culture. 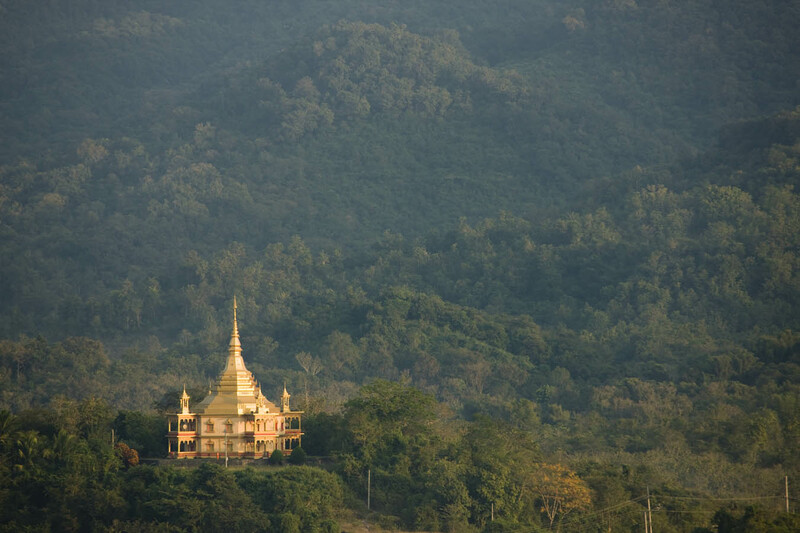 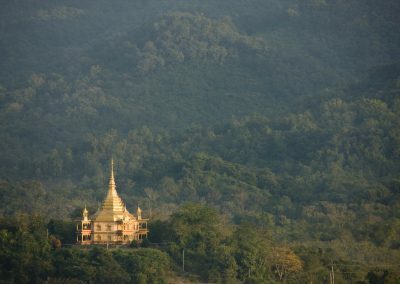 Contemplate the majestic Pha That Luang Stupa, embellished in 500 kilos of gold leaf and inspiring serenity. 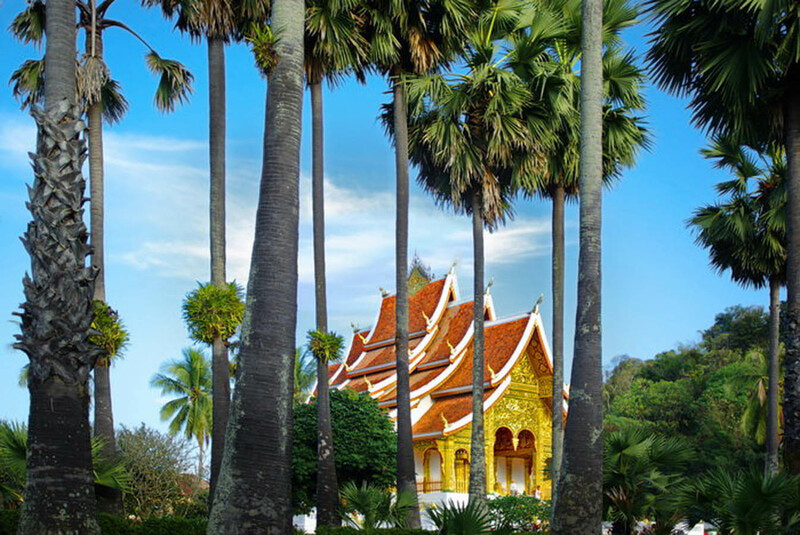 Finally, let yourself be overwhelmed by Ventiane and its peaceful and lush environment.